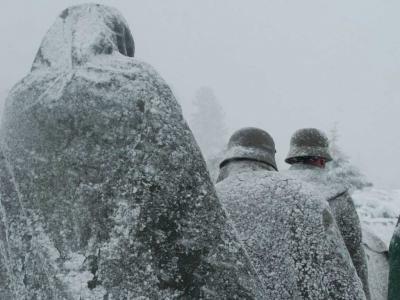 The FW 4 is the only emplacement on the front line that can be reached on skis in winter. 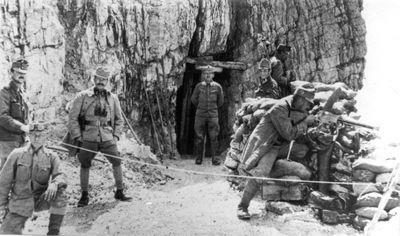 It was dug into the ridge, called Muraglia Rocciosa by the Italians: a rock wall fortified by the Austro-Hungarian soldiers in order to defend the Lagazuoi saddle. 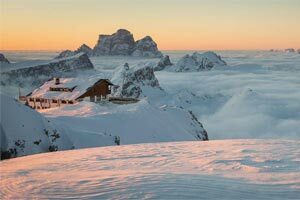 In winter you can visit it on skis by turning right directly after the departure of the slope at the top station of the Lagazuoi cable car Lagazuoi. 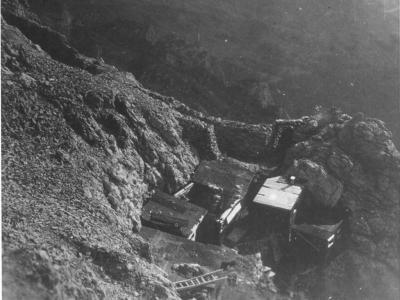 The emplacement is a tunnel dug into the rock with two armoured emplacements for machine guns and two embrasures for the observation of the areas Col dei Bos and Castelletto. 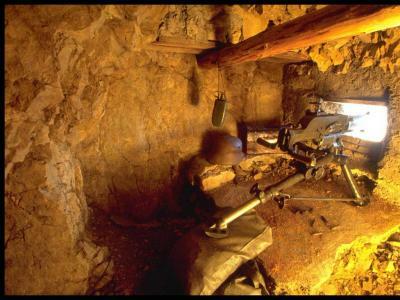 Today, there is a reproduction of the Schwarzlose machine gun with audio description. On the western slope of the ridge you can see the recesses which have been dug into the rock for the Austro-Hungarian huts. 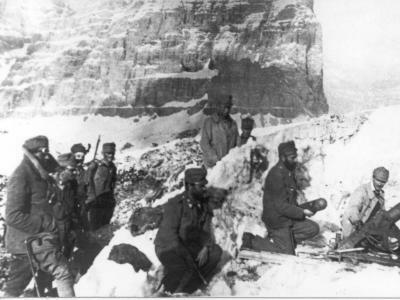 Life in the mountains at such high altitudes was particularly difficult in winter, not just because of the enemy attacks but also due to the cold and the transportation difficulties. 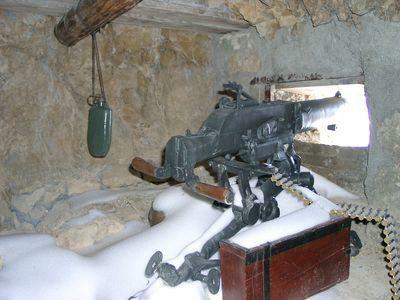 The sniper’s nest “Postazione del Cecchino” is situated right next to the emplacement Feldwache 4. 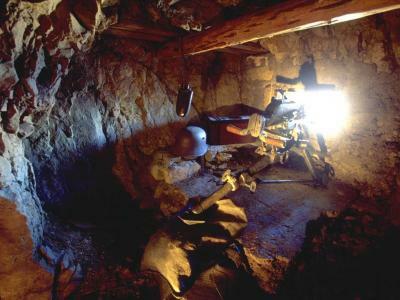 Going up a ladder you enter the tunnel that leads to a machine gun position and to a guard emplacement. 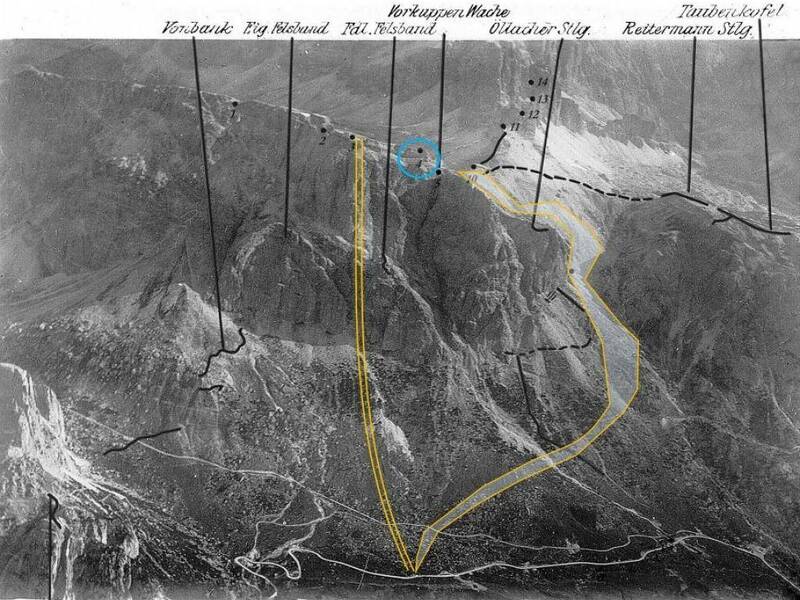 The tunnel continues for a few meters and stops abruptly because the defeat of Caporetto, with the subsequent abandonment of the Dolomite front by the Italian army, interrupted the connection works of this emplacement with the Feldwache 3. 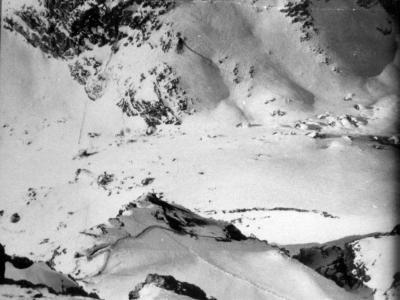 The FW 3 was situated in front of the terrace of the Lagazuoi cable car top station but, unfortunately, it has collapsed. 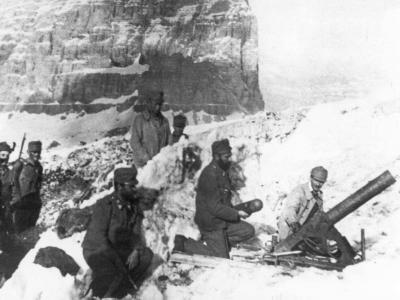 The Austrian guard emplacement Feldwache 2 is situated right in front of the terrace of the Lagazuoi refuge. 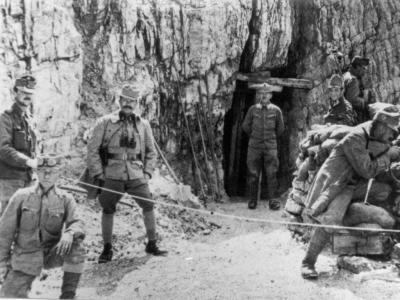 Walking through a communication trench dug into the rock of the mountain, the soldiers could reach the warehouses and the dormitories situated further west. 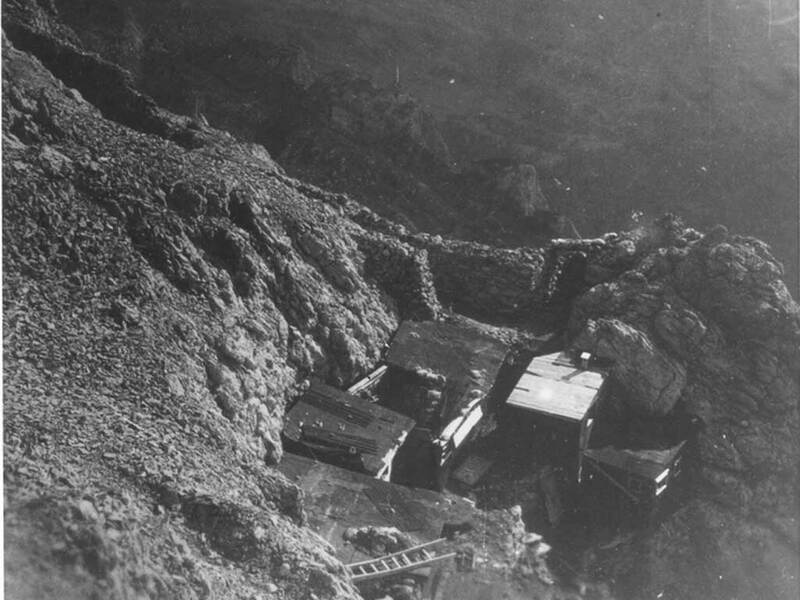 The rock of this connection trench has collapsed and it nowadays it‘ s not visible while you can clearly see the guard emplacement FW 2 (Feldwache 2). Looking towards the Val Badia you see the soldiers‘ dormitories, protected by a stone buttress. They have recently been restored by the Alpini of the A.N.A. (Associazione Nazionale Alpini) branch of Treviso.